If you love leather furniture you will want to know how to clean leather upholstery. Leather is a popular choice for upholstery because it is beautiful, comfortable, and durable. Keeping leather upholstery clean can become a challenge, but when done successfully it will prolong the life of your furniture. Vacuum the entire piece of furniture, including under the cushions and in the crevices and folds. Ink is difficult to remove from leather. The earlier you remove an ink stain the better so; this will prevent the ink from being absorbed deep into the leather. If you can't remove it with the following method, consult a professional leather cleaner. Spray the ink stain with hairspray contained in an aerosol can. Wipe it with a damp washcloth. Clean up the urine as quickly as possible by soaking it up with a dry towel. Use mild soap and a small amount of water to clean the area. Freeze the gum with ice cubes enclosed in a plastic bag. Scrape the frozen gum off with your fingernail. If that does not work, heat up the gum with a blow dryer and rub it off with a cloth. Blot up excess grease with a clean cloth. Cover the area with talcum powder or cornstarch for approximately four hours. Wipe the powder off with a clean cloth. If you want to keep your leather upholstery looking new and feeling great for years to come, a little bit of preventative maintenance can go a long way. Following are a few tips to keep your furniture looking great, in addition to learning how to clean leather upholstery. 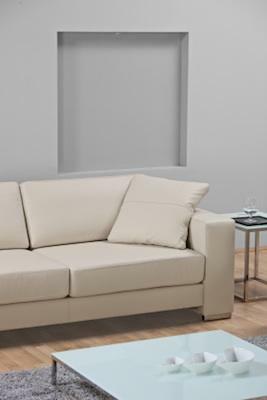 Keep your leather furniture away from the windows with direct sunlight, or pull the drapes to keep the sun off. Tint the windows of your vehicle and use a sunshade on the front dashboard. Do not allow anyone to write with a pen, pencil, or ink marker near your leather furniture. Don't eat or drink while sitting on your furniture. Don't allow pets to climb on or be near your leather upholstered furniture. Clean up any spills immediately to prevent set in stains.